Nidia is a Colorado native who grew up in Boulder. She received her EDDA (expanded duties dental assistant) certification from IBMC in Longmont. She is mom to two young boys with her husband, Jesus. Nidia loves spending time with her family watching football or hiking in the beautiful outdoors that is Colorado. Her older son plays basketball and flag football, but the younger one just likes to jump off the couch. Those boys keep Nidia pretty busy! 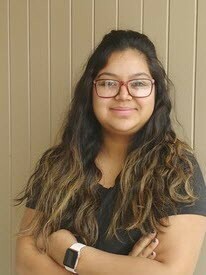 Nidia loves working in dentistry and has ambitions to further her education in the field, possibly becoming a hygienist or dentist in the future. 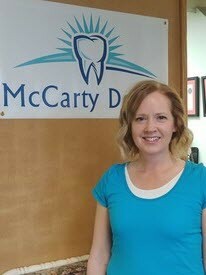 While her kids are young, though, she is very happy to be working with Dr. McCarty and her teammates at McCarty Dental. Allison is from Pocatello, Idaho. She received her Bachelor of Science in Dental Hygiene from Idaho State University a long time ago ;-) She has four kids and one amazing husband who make life fun and happy. She enjoys reading, baking, music and traveling. Allison is passionate about educating patients about their dental health and helping them obtain healthy teeth and gums. She is so happy to be working with Dr. McCarty and her wonderful staff. Kathe's very first job (well, not counting babysitting) was in a dental office in Midland, Michigan. There have been a few changes since those days - computers, anyone? - and she's excited to be back where it all started. 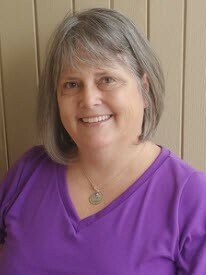 Kathe has three adult sons with husband, Jeff, whom she met and married while in college at Western Michigan University. Yes, Jeff met his "gal in Kalamazoo!"